When we withdraw ourselves a break from the modern busy life, it would be quite pleasantly surprised for us to find that Christmas season is just around the corner. Picking Christmas gifts for beloved ones would become a rather big challenge then as different people might get different Christmas gift wishes. There are many classic Christmas gifts available in malls. If you are hunting for a Christmas gift for your dreamed girl, you would like to choose brilliant roses, testy chocolate or fabulous handbag, which would make she get the right point of your inner thought. Well, if you are a girl-in-love, a HD camcorder or well-look watch would be a nice gift for your lover. Christmas gifts for parents would be even easier, as they would always know your heart whatever you gift. For kids? A Zhu Zhu Pet Hamster or a RC motor would make your kids laugh all day long. These Christmas would do solve a really tough problem for you. But, a new question may arouse that everyone knows these and so, is there anything special or unique to make Christmas more memorable? Well, here provides a Christmas gifting idea for you to make your Christmas gift more treasured and even the best of 2010 with only a powerful video converter and your Apple device. Undoubtedly the Apple devices would be a hot Christmas gift choice for the upcoming Christmas 2010 for the newly released iOS4.2, which brings in many new functions customers expected, like Multitasking, AirPlay, AirPrint, etc. Getting an iPad, iPod, or iPhone as a Christmas gift would be absolutely a good idea. 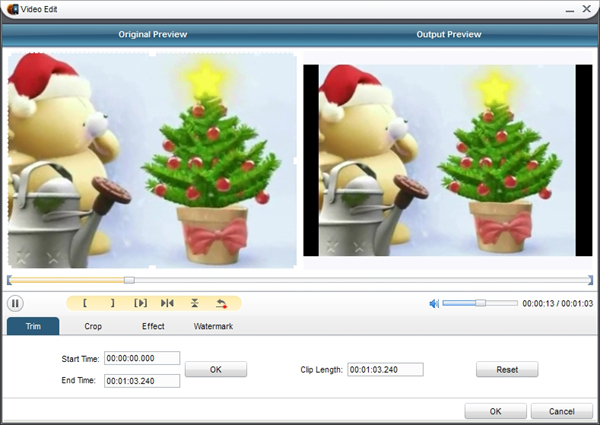 Yet accompanied with a video converter, the Christmas gift would become more enjoyable and make your Christmas more memorable, as you can create a Christmas video yourself to make a unique Christmas gift. Record a video clip with iPhone, convert favorite videos to iPad/iPhone/iPod or even AirPlay on Apple TV alike, all these would be just a fantastic creating experience for you. To make the videos more enjoyable and memorable, you can do editing work with the video converter, like trimming, cropping, adjusting the effect or even adding some text or an image as a watermark of your creation. Now, you have caught the Santa Claus’ lucky sleigh to enjoy a full scale discount of the video converters on Leawo. All items on the homepage of Leawo would make a big discount for the approaching Christmas, some even saving you up to $90. More interests would be available if you become Leawo Facebook fans. Want to join in this campaign and make your Christmas gift special? Just click here and you would know the whole.